Welcome to Opera House Dental, the dental practice of father and son team, John Hagen, DDS and Dirk Hagen, DDS. 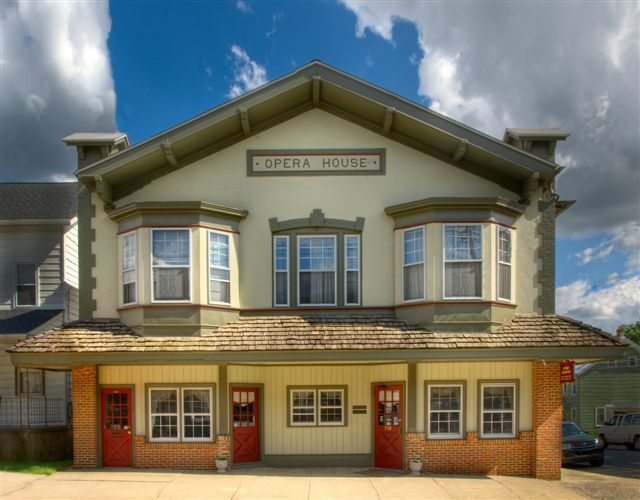 Our practice in the historic Parkesburg Opera House has been a mainstay in Parkesburg, PA for many years. Dr. John Hagen has been practicing dentistry in the Chester County area for over sixty years and his son, Dr. Dirk Hagen for over thirty years. It is so wonderful to be welcoming third and fourth generations of patients into our dental family. Our goal is to provide excellent dental services to our patients of all ages, and assist them in achieving maximum oral health. We only use high quality materials that assure our patients the long lasting, superior results they seek. Opera House Dental invites your family to come and experience exceptional dental service in a comfortable, historic and caring atmosphere. Drs. John & Dirk Hagen, DDS specialize in beautifying smiles, maintaining your dental health, and helping you improve your appearance. Our experienced and friendly staff takes great pride in keeping your smile beautiful. The products we recommend and use are the highest quality and incredibly durable. You can trust your smile with us.